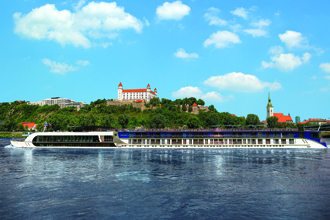 Indulge in a deluxe vacation experience with AmaWaterways as you glide along peaceful scenic rivers. 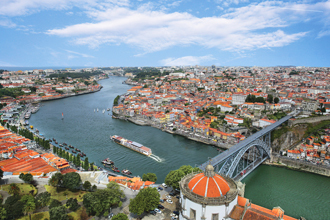 Imagine waking up in a new delightful town, just steps from museums, famous landmarks and fabulous shopping. 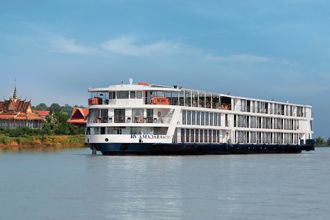 Travel on your choice of almost 20 of some of the newest, most modern and stunning river cruise ships to such fascinating worldwide destinations as Europe, Russia, Cambodia, Vietnam and Africa, with sailings ranging from 4 to 21 days. 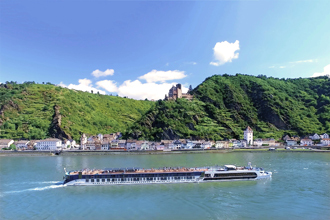 Unforgettable journeys with AmaWaterways provide an incredible up-close and in-depth travel experience as you immerse yourself in the cultures of fascinating places worldwide. 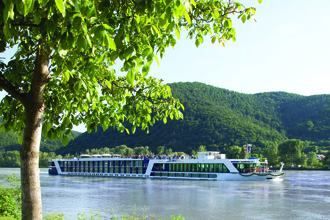 Feel at home the moment you step onboard your spectacular AmaWaterways ship and are greeted with champagne and enjoy some of the most personalized service in the industry. Highly trained Cruise Managers will be with you along the way, including land packages, until you board your airport transfer for home. Inviting accommodations beckon you and at the end of the day, feel like a VIP as you are pampered with turn-down service and plush linens for a delightful night's sleep. 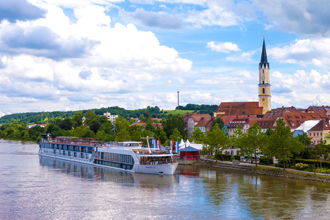 Offering this kind of detail is just one of the ways AmaWaterways sets itself apart from others. 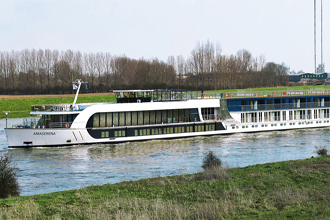 Another, is that its ships in Europe are all members of the prestigious La Chaine des Rotisseurs, a sign of culinary achievement. 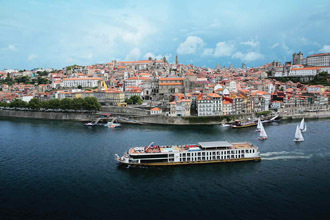 Featured on all ships, are bicycles so you can ride through villages and cities for an amazing time. 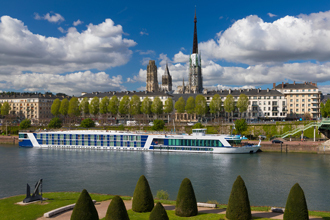 Complimentary small group shore excursions offer a world-class land tour in every destination with local guides, adding to the immersive experience. 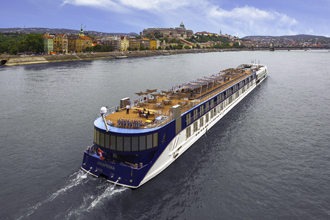 Every evening, delight at the onboard entertainment by local musicians and dancers. Enjoy the camaraderie as you socialize with fellow guests. 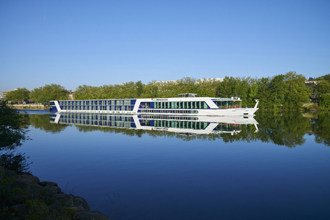 Popular with oenophiles, foodies and novices, several "In Celebration of Wine" theme cruises are offered by AmaWaterways every year. 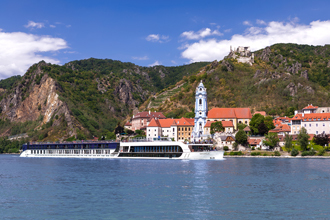 Showcasing famous European wine regions along the legendary Danube, Douro, Mosel, Rhine, Rhône and Seine Rivers, these exciting sailings are hosted by experts. 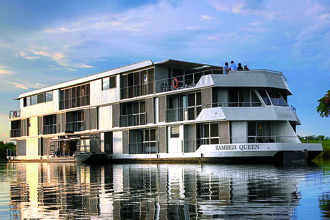 Enjoy complimentary tastings and gourmet cuisine paired with wines, excursions to vineyards and more. 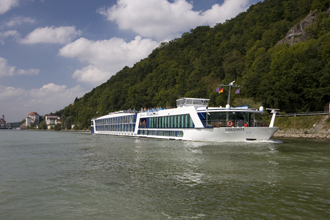 Onboard lunches and dinners include free-flowing regional wines, plus complimentary beer and soft drinks. Begin each day with a divine gourmet breakfast with an incredible selection of dishes, including freshly baked goods, smoked salmon, regional favorites and much more. Delicious lunches may include fabulous appetizers, just-made soups, diverse entrees, decadent desserts and complimentary coffees. Scrumptious dinners include a wide range of choices, including wonderful regional cuisine and bold new flavors created by classically-trained chefs. 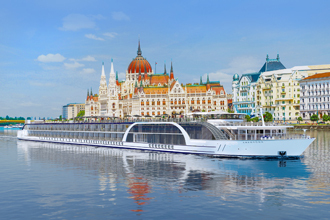 Marvel at stunning ever-changing views from your balcony, lounges and expansive decks, as you enjoy a myriad of incredible worldwide itineraries to spectacular destinations. 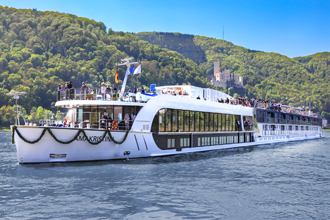 Meet fellow guests and relax at the lively bars, low-key comfortable lounges, where you can enjoy the music, and spend time on the deck, with a fresh river breeze as spectacular scenery passes by. 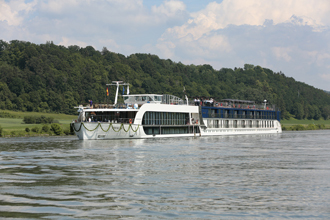 Enjoy swimming pools, whirlpools, salons and fitness rooms. 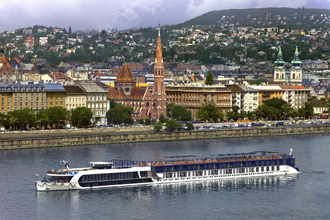 See our Online Search below for hundreds of discounted AmaWaterways cruise deals.